MSI had a pretty decent booth this year and when you take a look at the overall presentation of the booth you can see that they are about notebooks. There was just a small corner devoted to motherboards and graphics cards but they were largely overshadowed by close to 100 laptops on display. 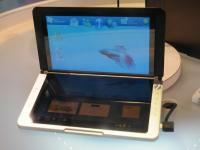 They were also displaying some concept designs that are hopefully coming in the future - dual-screen laptops. 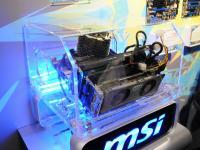 MSI showed its line of touch-screen all-in-one PCs as well and some seemed to work better than others. 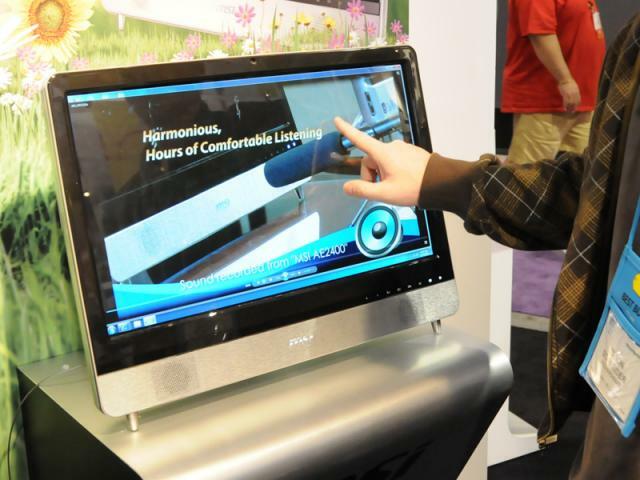 Overall, I can see this idea becoming more popular through 2010 though as last year the touch-screen PCs seemed to be a lot more primitive. 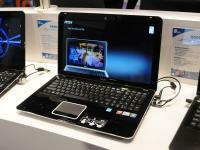 Thanks to Windows 7 we may now be getting fingerprints on more PCs this year. As previously mentioned, MSI showed off a lot of portable PCs and they have some really beautiful designs that offers decent specs. Even their netbooks had a nice showing with the new Pinetrail platform. Thankfully there was some regular computer hardware such as motherboards and graphics cards, but as they are board partners, nothing really separates these products from the competition. New laptops to their line are the GX640 and the GX740 which are Core i5 with discreet graphics cards and the GT640 and GT740 are running Core i7 processors with discreet graphics as well. Their WindTop computers now range from 19" to 24" units. If you're interested, you can check out all of the pictures in the January 7, 2010 CES Gallery here and go and listen to WTU Episode #28 from Las Vegas over here. All of our CES coverage can be found over here.